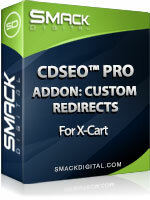 CDSEO Addons require Custom Dynamic Search Engine Optimization (CDSEO) Pro for X-Cart v2.0.0 or greater to be previously installed. Addons install easily without additional file changes simply by uploading the provided files to your web server. 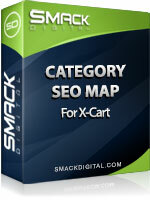 Broken links cause quality issues for search engines and create a frustrating experience for visitors. 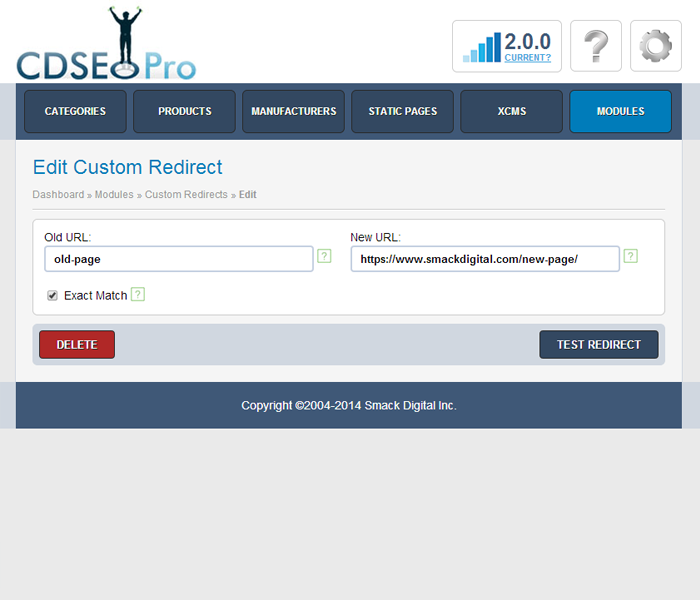 By redirecting your broken links you can prevent 404 errors while also generating more SEO ranking for your site. When a quality site links to a page on your site that doesn't exist, you can point that link to a valid page so that you gain the SEO benefits of that link. 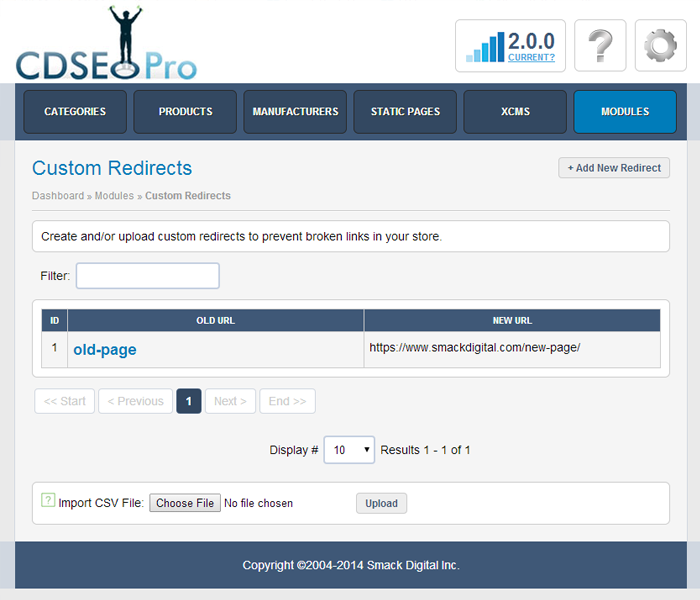 Redirects can be added individually or imported from a CSV file.